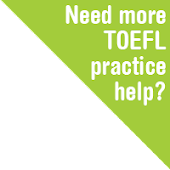 Today I thought i collect a couple of useful links that helped me getting an excellent score in TOEFL. Here is a a play-list of EXCELLENT 34 videos that will definitely help you achieve high score in the TOEFL iBT test. Thank you for collecting these videos. I appreciate your work. They really help !! thanks for collecting those materials, you did a really a great job :). I'm preparing for the Toefl from your web.